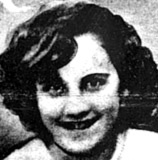 Brenda was last seen on August 6, 1956. She was accompanied by a friend, Donald Baker, at the time. The two of them rode their bicycles to the San Gabriel Canyon area near Glendora Mountain Road and disappeared. A few days later, Donald's jacket and Brenda's bicycle were found near Morris Dam, a quarter of a mile south of where they were last seen. Neither of them have been heard from again. Authorities initially believed the children had run away from home, but later events altered their opinion. In 1970, Mack Ray Edwards pleaded guilty to killing three California children and sentenced to death at his own request. He subsequently confessed to the murders of three others, including Donald, Brenda and Roger Madison. Edwards directed investigators to a site where he said he had disposed of their bodies, but a search of the area turned up no signs of any remains. Edwards was never charged in connection with any other cases due to lack of evidence. He died by suicide on death row in 1971. A photograph of Edwards is posted with this case summary. Brenda was his sister-in-law and Donald was one of his neighbors. Two other children disappeared from the San Gabriel Mountains in the 1950s and 1960s; the others are Bruce Kremen and Thomas Bowman. Authorities believe Edwards was most likely responsible for their disappearances, as well as the disappearances of Ramona Price and Karen Tompkins. His alleged victims ranged in age from seven to sixteen years old. At the time of her disappearance, Brenda was visiting her married sister who lived in the 5700 block of Rockdale Avenue in Azusa, California. She normally resided in Fort Bragg, California. Foul play is suspected in her case due to the circumstances involved. Brenda's case was reopened in 2007 as authorities renewed the search for the bodies of Edwards's victims. He was employed as a heavy equipment operator in the 1950s and 1960s, and helped construct many highways across the state of California. Investigators believe he may have buried the children's remains under the highways. Updated 3 times since October 12, 2004. Last updated March 28, 2008; date of birth, height and weight added, distinguishing characteristics updated.